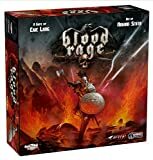 Blood Rage is a Viking themed area controle and card drafting board game. You are a Viking clan leader. Even in the face of Ragnarök, you will command your warriors on the field of battle, conquering and pillaging as you were born to do. The gods (Odin, Thor, Loki, Frigga, Heimdall and Tyr) are generous in their twilight hours, bestowing gifts and boons upon you. Even the most monstrous creatures of Midgard seek to find glory in the little time they have left. 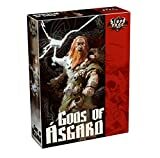 You will use everything you have left to earn your place in Valhalla by drafing cards to improve the abilities of your clan, pillage, recruit monsters to best all other clans, barter to favor the Gods and achieve the last victory the world will ever know. But winning is not everything and life is fleeting, but glory is eternal and only the clan with the most glory that shall rise to eternity. Now is the time for rage, Blood Rage! 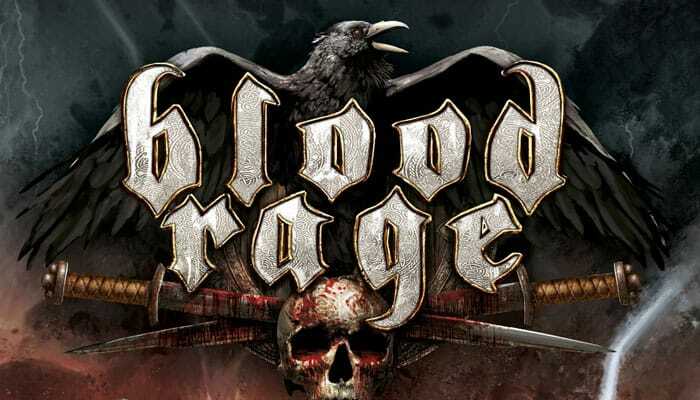 Blood Rage is not just a simple area control game. While winning battles can certainly be a path to victory, you can sometimes gain a great deal by dying. In a suicidal battle, you can gain glory as your troops are sent to Valhalla. And at the same time you deplete cards from the hand of the winner, weakening them for future battles.